ROAD TOWN, Tortola, VI - Independent candidate for the First District, Preston P. Stoutt has challenged incumbent Virgin Islands Party (VIP) representative for the district Honourable Andrew A. Fahie and National Democratic Party candidate Shaina M. Smith to a live debate tonight June 2, 2015. However, both have declined the invitation. In throwing out his renewed challenge, Stoutt said candidates from around the Virgin Islands are committing to debates in the run-up to the June 8, 2015 Polling Day and that those candidates include members of both the major political parties. “CBN TV 51 is hosting a debate on the show Open Mic, hosted by Julio Henry, for the Territory At-Large candidates this evening,” he said in a statement. 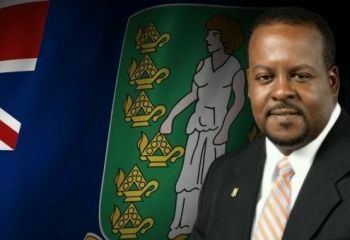 “And on the district level, NDP candidate in the Third District, Kevin "OJ" Smith has come forth to express his willingness to debate VIP Chairman, Rep. Julian Fraser," he further claimed. Stout said that when Z-KING 100.9 FM proposed a debate for the First District candidates, only he, Independent candidate Preston P. Stoutt accepted. “When that debate was cancelled due to the refusal to attend by Representative Andrew Fahie and Shaina Smith, Stoutt expressed hope that the political establishment candidates would in fact accept the offer to debate him in front of residents of the First District. To date, neither Fahie nor Smith have accepted Stoutt's offer to participate in a debate,” Stoutt wrote. With just six days remaining, Mr Stoutt said he is once again calling on Honourable Fahie and Ms Smith to appear in front of voters and take their questions. The son of the late Chief Minister H. Lavity Stoutt, Mr Preston P. Stoutt noted that debates are a healthy part of a democracy and allow voters to compare the candidates, live and in their own words. 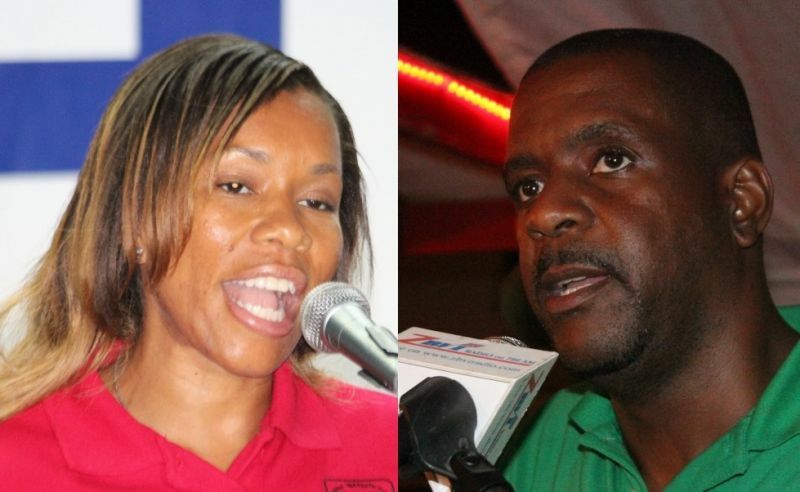 "Questions continue to remain as to why Mr Fahie and Ms Smith will not debate me,” said Stoutt. "I am willing to meet them anytime, anywhere in front of the voters so that we can all present our visions for the First District,” he said. Efforts to reach Stoutt for further comments proved futile. When this news site contacted Shaina M. Smith seeking a response, she said she was unwilling to comment on the issue. Contacted for a comment today, Honourable Fahie said he believed Stoutt was being cynical in his remarks which he said further had no basis. He took up Stoutt on his seeming allegation in the statement he made as to why the two might be unwilling to debate him. “I view the remarks made by Mr Stoutt as being cynical because there is no basis for it. If it is that Mr Stoutt who contested the 2011 Elections and lost is now calling the majority of voters in the First District fools or that they were stupid in 1999, 2003, 2007 and 2011 then he must say so,” said Honourable Fahie. “What exactly is the allegation that he is making? If there is another accusation that he would like to put forward at this time then he must also bring those remarks forward so I can address the issues that he may wish to highlight,” said Honourable Fahie. Preston is looking for easy publicity. A debate is nothing but a lot of hot air. But he is solidly in last place and has nothing to lose, so why not eh? Careful what you wish for. There is no way you can out talk either Andrew or Shaina. I agree-- we need debates--not just in first, but in every district...That`s a better way to go...What`s the problem== why not-- why is it nit happening? I think you all may have gotten two different stories tied together. Pretty sure you have Mr. Fahie responded to the news yesterday about how in his previous two elections he was able to get exactly 611 each time. Maybe Mr. Fahie would like to answer the question of whether he would debate Mr. Stoutt. We probably should weigh in on ms. Smith as well since it is only now since she joined the NDP 1st district is being noticed. Use the radio time to educate 1st with your proposals, separate yourself and make sure you two don't split the vote and get Shaina in. That would be disastrous. Because she is just a place holder for the NDP machine to take everything over and build an airport terminal for a ferry dock, develop the beaches for "tourists" (who want to keep them natural), and ruin the first as a beautiful area. take care of the people first. ...building a bathroom facility on the beach does not take away from its nature. Believe me, the tourists do not like using the bathroom in the bushes. I can say for certain that bathroom facility is one of the greatest cries from the tourists. Don't mind shaw. Shaw has been an NDP hater since the 2007 elections. Shaw are one of those expats that want the BVI to remain how 'they' like it because 'they' already made it. They can't have this level of say where they're from but want to tell us how to develop our country for our survival. Just ignore people like shaw because no matter what NDP does, they will twist it into some sick underground take over scheme. Sick people. question for the DAY, what stopped the Virgin Islands political party for developping the infrastructure of our Territory?? ( they had over 40 years as adminstration of the British virgin islands) OMG; its just a question!!!! The Virgin Island Party did develop the infrastructure of the BVI. They built roads, expanded electricity, developed the telecom industry, built and expanded that cruise ship dock (NDP only did a second expansion of the dock) and much much more. It is under NDP that our infrastructure have dropped to a new low level. Too busy focusing on getting a golf course for the BVI and not seeing the state of our roads, sewage running in the streets and declining standard of living for the ordinary man. NDP's problem is that they can only see things at their level. If things are good for them then it must be good for everyone. But most of us don't have the kind of income that they do. Time for change. Yeh boss to late for that. Check you next elections with that debate thing.